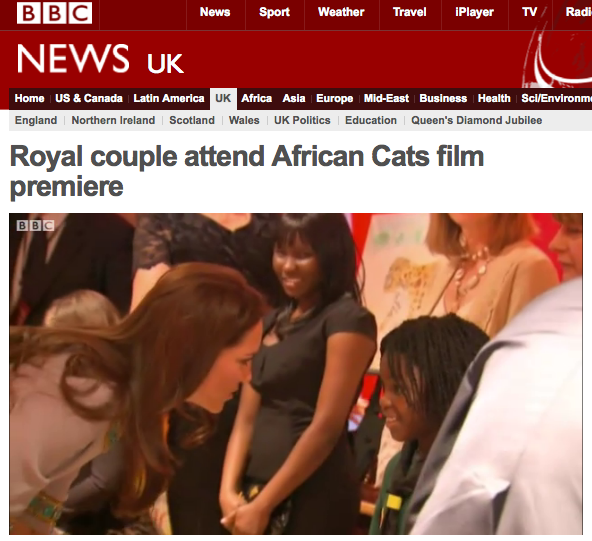 Kate chose UK designer Matthew Williamson for the London premiere of African Cats. 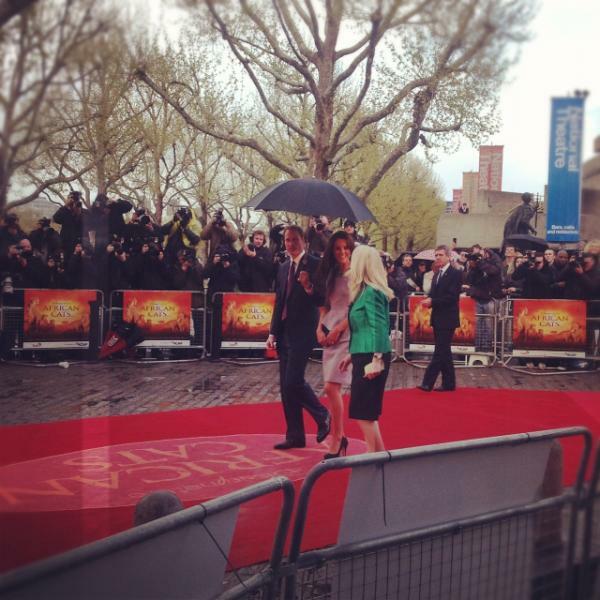 It was another soggy day in London, definitely umbrella weather. The event was a fundraiser for the Tusk Trust, the film is a documentary about lions and cheetahs on the African savannah, focusing on the Masai Mara nature reserve in Kenya. 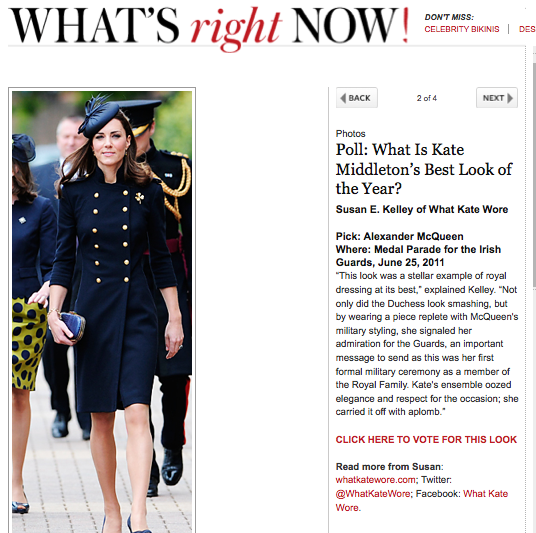 The dress is from Mr. Williamson’s pre-fall 2012 collection, it features ornate beading, an exposed zipper in the back and that peplum detailing Kate is so fond of. As you can see from the photos, additional beading at the neck was added to Kate’s frock. I concur with the suggestion made by Kate Middleton Style blog that the embellishment is a nod to the film’s theme and location. Mr. Williamson’s label is now 15 years old, he is a graduate of the renowned Central Saint Martins school, and is also known for his line of bridal gowns and accessories. 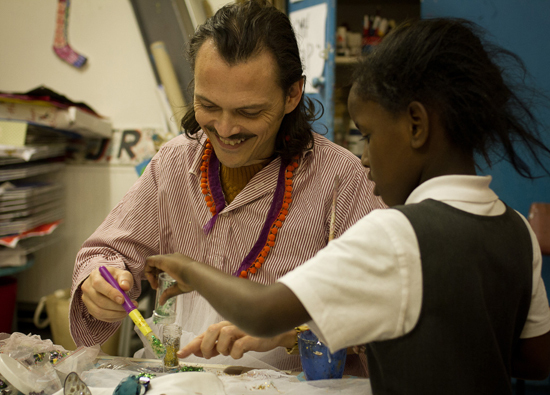 He is also engaged in charity work, below we see him mentoring a child at the Kid’s Company, an organization helping impoverished children in London. 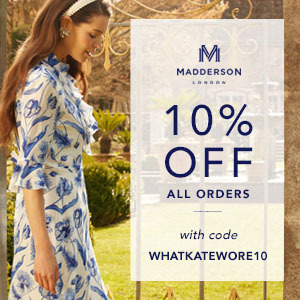 The designer launched a more moderately priced collection last year, MW Matthew Williamson. And he also has a collection at UK retailer Debenhams, Butterfly by Matthew Williamson. 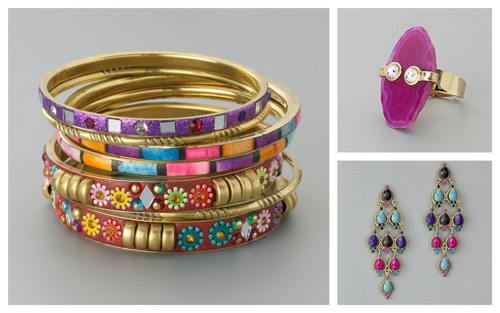 The Debenhams’ line includes jewelry. Kate’s jewelry today included her engagement ring and a new pair of Kiki McDonough earrings, the ‘Kiki Classic’ Blue Topaz and Diamond Earrings. The earrings are “runaway best sellers”, they are priced at £1200, about $1940 at today’s exchange rates. Our thanks to My Small Obsessions for identifying these sparklers. The dark grey shoes and bag are by Emmy Shoes, many thanks to WKW FB friend Elizabeth for spotting this and Anna for her assistance as well! 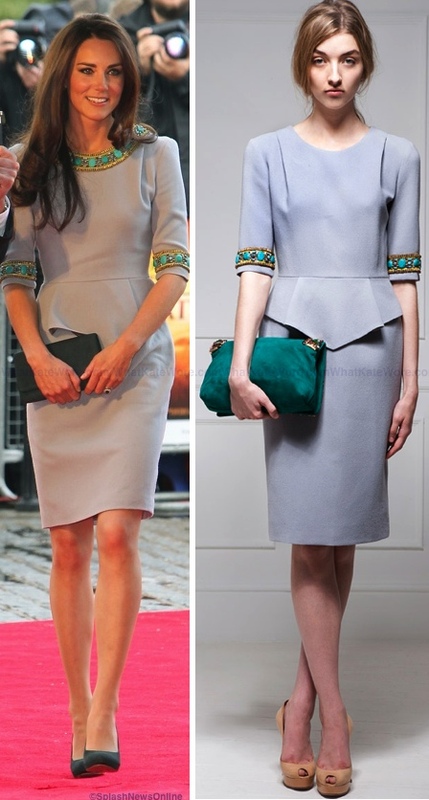 Kate’s shoes and bag are very similar to these shown on the Emmy Shoes blog if they were done in grey. Most recently we saw Kate wearing Emmys on St. Patrick’s Day. 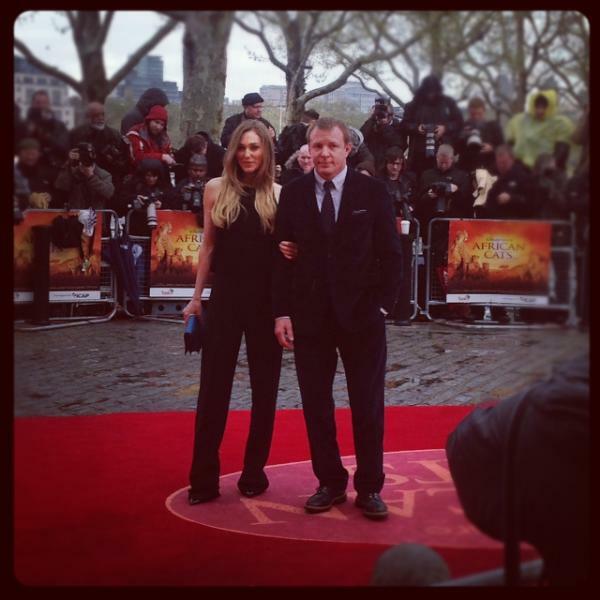 Others attending the benefit included Jacqui Ainsley and Guy Ritchie. 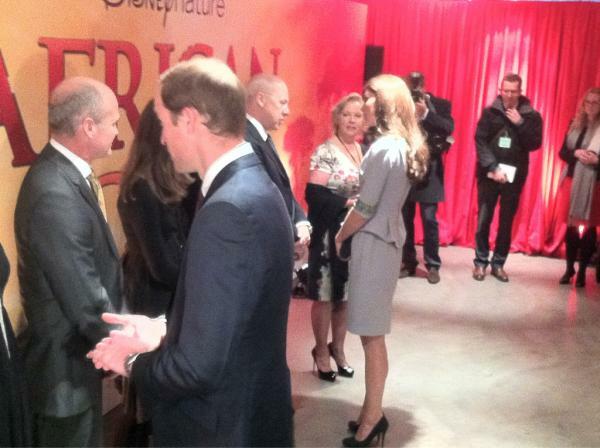 Kate and William met with Tusk Trust supporters and others at the function. 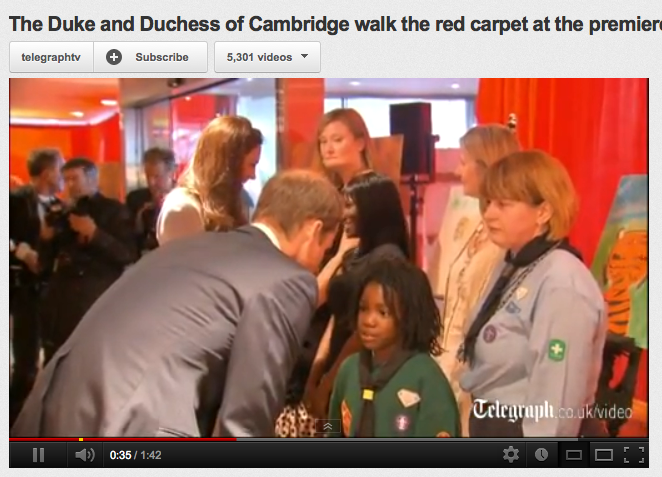 More than 100 children were on hand from charities Kate and William support, you can see more in The Telegraph’s video about the event, click here. The BBC’s story may be seen here. I liked the dress and accessories, they seemed appropriate to the occasion, although the beading looked very heavy. 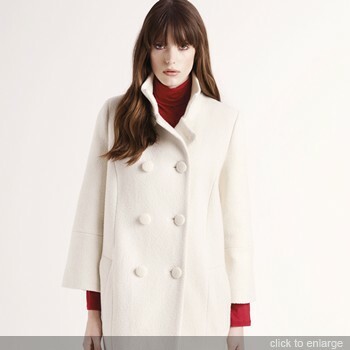 Mr. Williams has a deft hand with color, cut and embellishment, we have long hoped the Duchess would wear his designs. 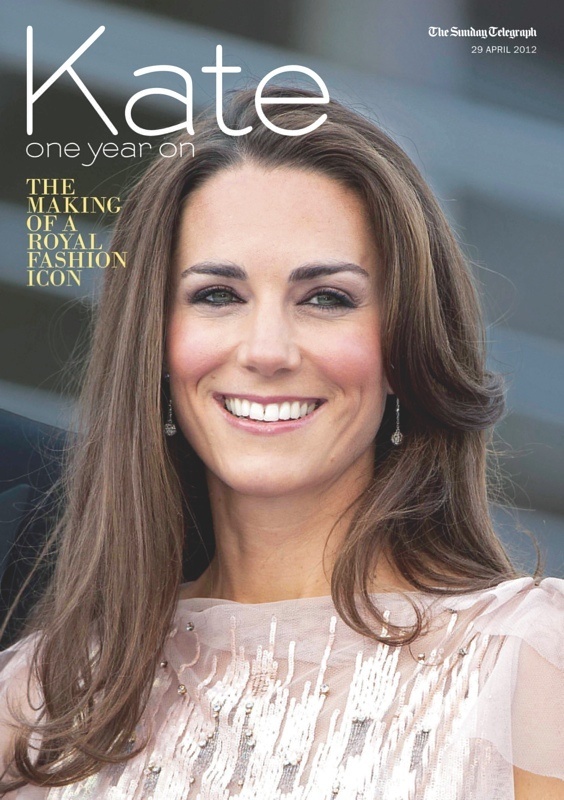 Kate fans will be pleased with the enormous number of anniversary-themed publications being released around the couple’s one year anniversary. The Telegraph is devoting eight pages to the couple on Saturday, and Sunday’s paper will have a special supplement, Kate One Year On: The Making of a Fashion Icon. Here is a look at an interior spread. OK! offers an ‘Anniversary Special,‘ including a free DVD; Hello! has also published a ‘Special Collector’s Edition,‘ while Majesty has the couple on its cover and carries additional anniversary coverage. Zara Phillips will be cheered on by the Duke and Duchess of Cambridge as she tries to earn an Olympic place at the Badminton Horse Trials. The royals will watch the showjumping on May 7, the last element of the trials held in Gloucestershire, which include a dressage element and a gruelling cross-country course. Competitors will receive their prizes from William and Kate, who are expected to be rooting for the duke’s cousin Ms Phillips, a former equestrian world champion. Images from last year’s events. Here you see work being done last month on the course, prepping for the upcoming Trials. 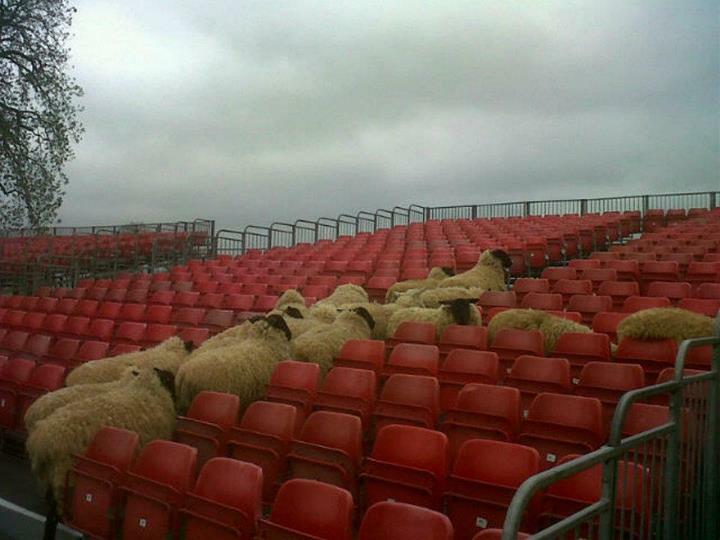 That seating for spectators? Not so fast. 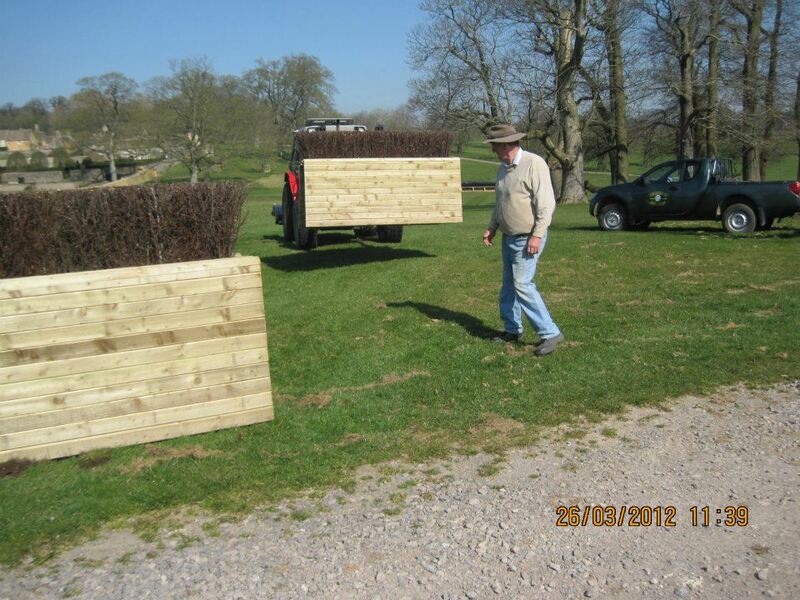 You can learn more at the Mitsubishi Motors Badminton Horse trials site, or the group’s Facebook page. Sunday, June 3, Thames Diamond Jubilee Pageant on June 3: while there has not yet been a formal announcement of William and Kate’s participation in this function, I would be surprised if they are not in attendance. Monday, June 4, Diamond Jubilee Concert: Again, no formal announcement, but I am sure we will see the Duke and Duchess of Cambridge at some point in the day. Tuesday, June 5, Diamond Jubilee Events: Her Majesty, Prince Philip and all of the royals are expected for the National Service of Thanksgiving at St. Paul’s, official luncheon, carriage procession and balcony appearance for a flyover on the 5th. Thursday, July 26: Olympic Flame at Buckingham Palace. Kate, William, and Harry will watch three torchbearers carry the torch through the Palace grounds. The Olympic Games officially launch the next day, I imagine we’ll also see the couple at other Olympic events, probably those Opening Ceremonies as well as the Closing Ceremonies. 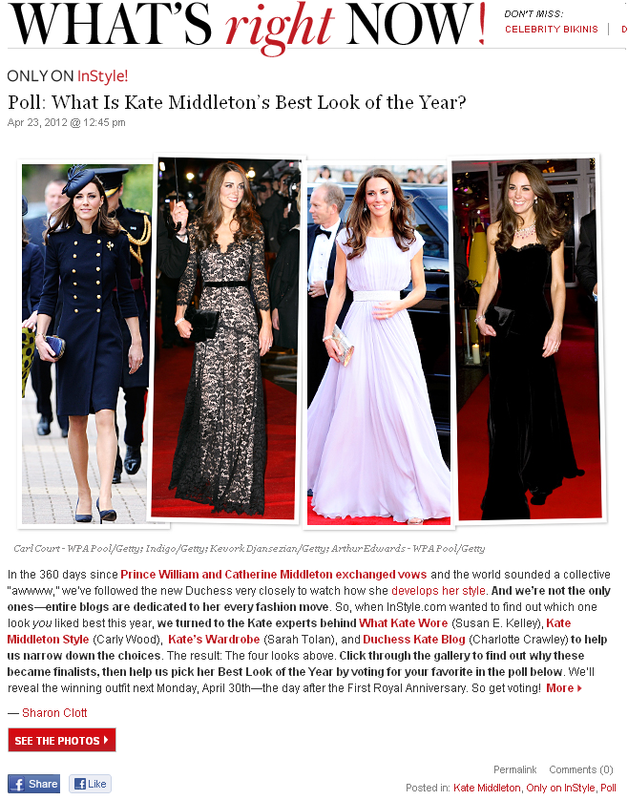 Finally today, InStyle has a fun poll on Kate’s best looks from the last year. 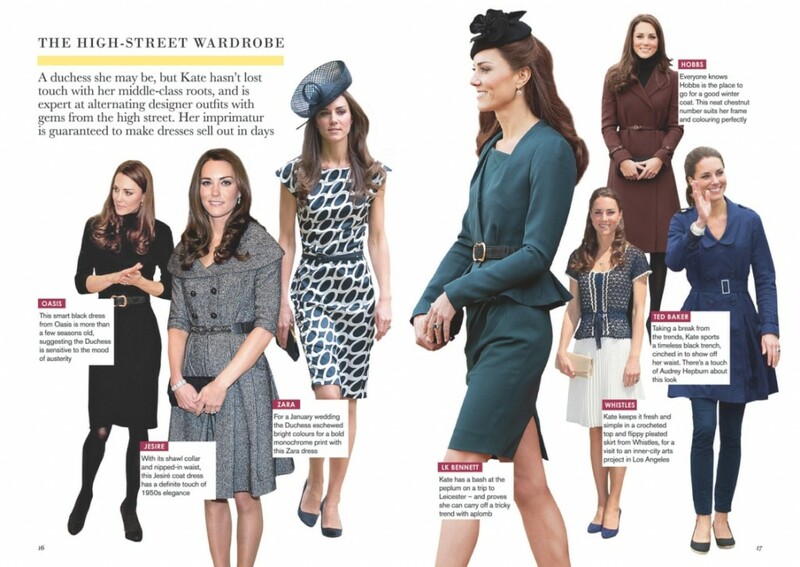 InStyle asked four Kate style bloggers to submit their choice of Kate’s best look during the last year, we are ever-so-flattered to be included with our friends Carly from Kate Middleton Style Blog, Sarah of Kate’s Wardrobe and Charlotte from HRH Duchess Kate. Our thanks to Sharon for putting together such a fun piece, click here to see the styles and cast your vote.